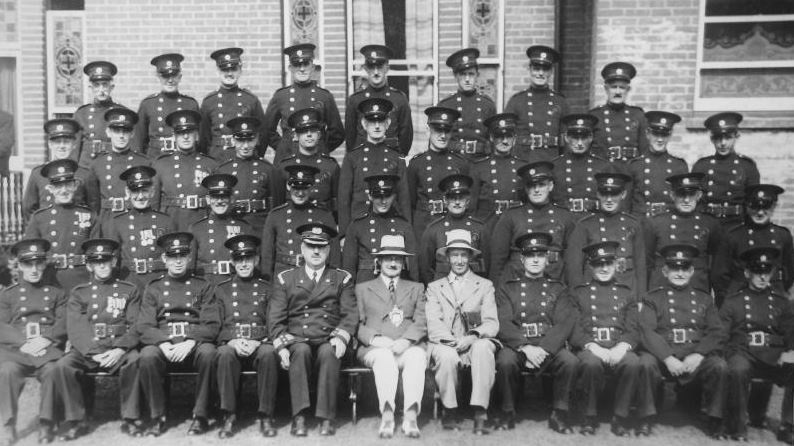 A contingent of Ryde's Auxiliary Fire Service in the garden at the rear of the London Hotel. 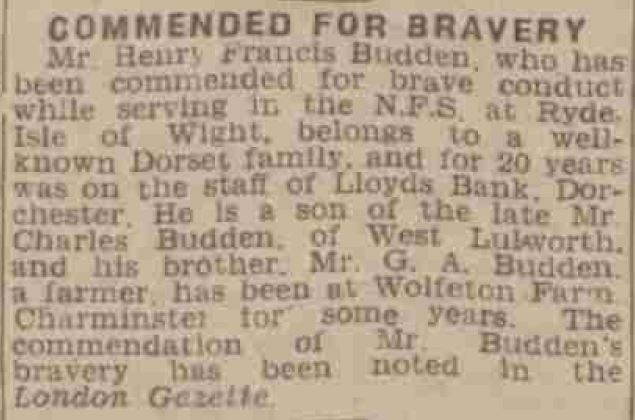 Fireman Henry Francis Budden was born in West Lulworth, Dorset, on 10 April 1898. His parents Charles and Alice Mary (nee Oakley) were well known in their locality and successfully operated Burngate Farm for many years. The 1901 Census reveals that Henry was the fourth child, three elder brothers came before him and a younger sister came soon after. 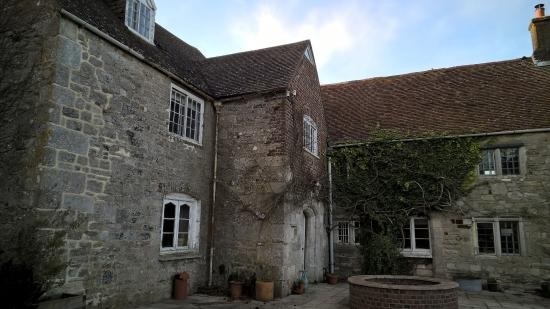 The farm appears to have been prosperous given that it was home to the couple and their six children in addition to a domestic governess and two domestic servants. Burngate Farm House as it appears today, as a bed and breakfast. 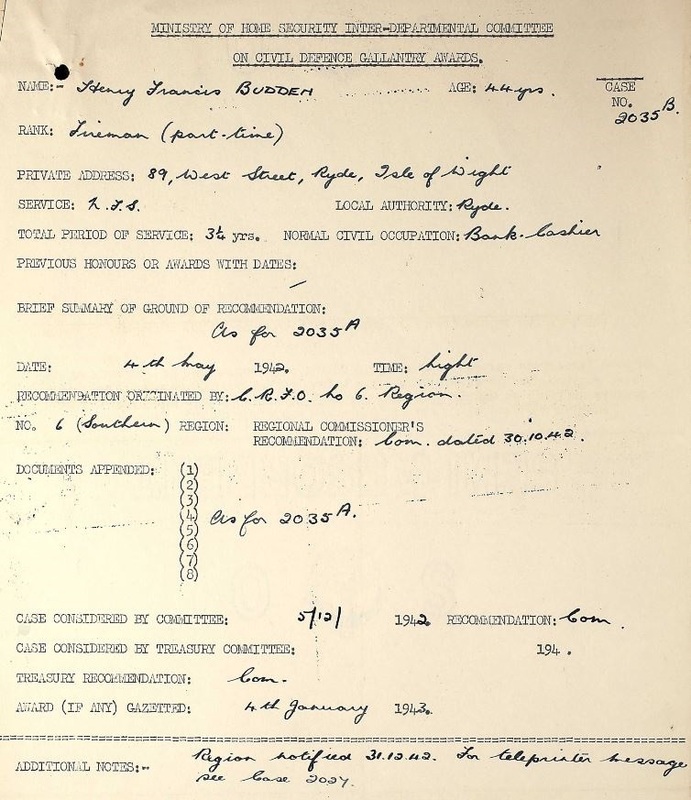 By the time of the 1911 Census, when Henry was 12, he was a boarder at the Dorchester Grammar School (in 1952 it was renamed the Thomas Hardye School and remains in operation today). 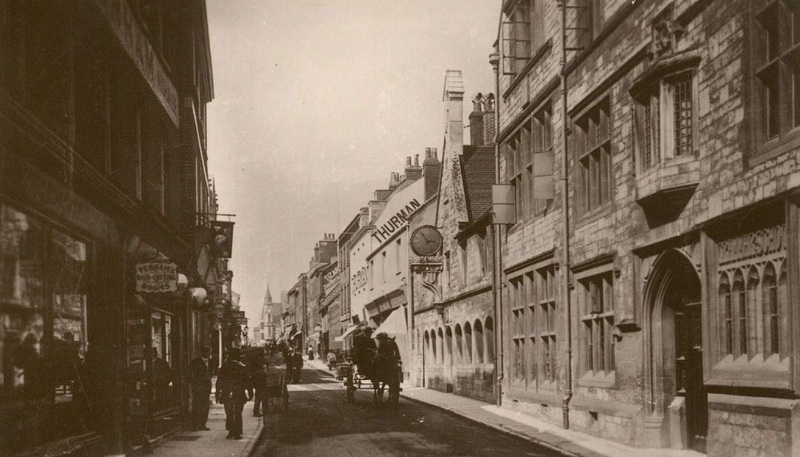 Henry's schooling prepared him not for the farmer's life of his parents but for banking and for twenty years he was employed at the Lloyds branch in Dorchester. It was for the same bankers that he worked when he moved to Ryde, taking up residence at 89 West Street where the 1939 Register located him with his wife Amelia (nee Webb) who he'd married at Holy Trinity, Dorchester, on 10 September 1922. 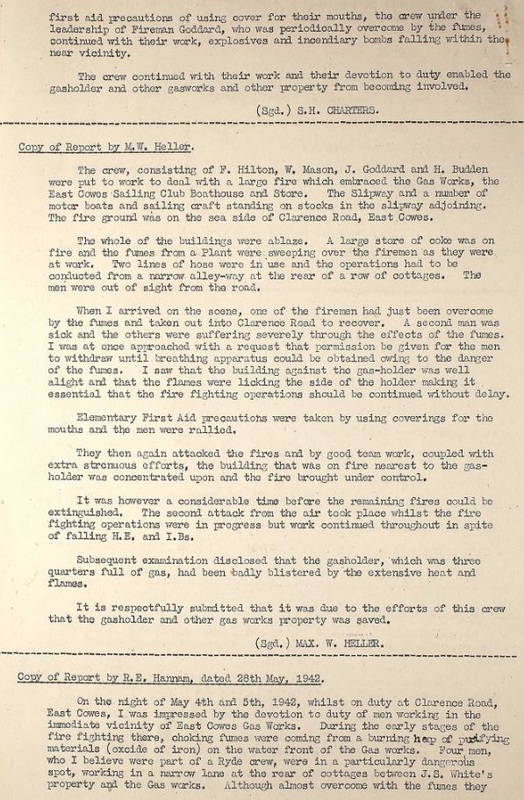 The Register also recorded that Henry was a part-time member of Ryde's contingent of the Auxiliary Fire Service and he remained in-role when the National Fire Service was established in August 1941. 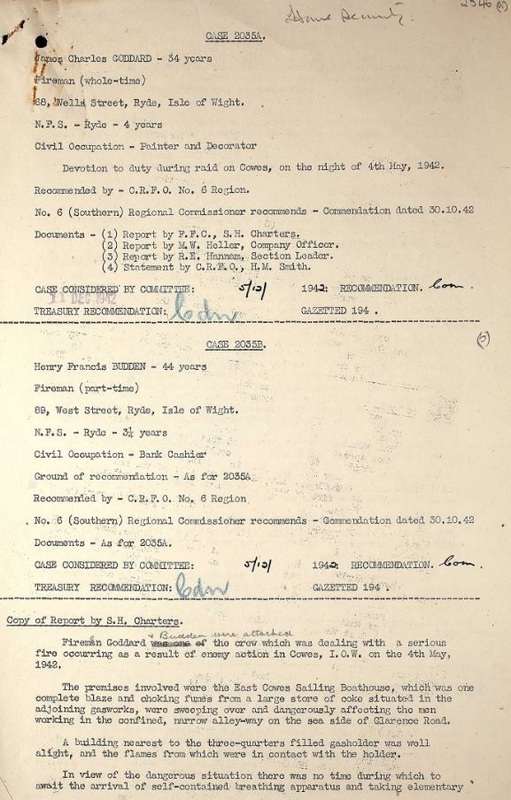 Whilst little is known of his service throughout most of the war, it is known that he was recommended for a gallantry award and eventually received a commendation in the London Gazette of 4 January 1943 for his efforts, alongside many of his colleagues, to prevent the destruction of the East Cowes gas-holder during the night of the Cowes Blitz on the 4/5 May 1943. See the original case file enclosures below. 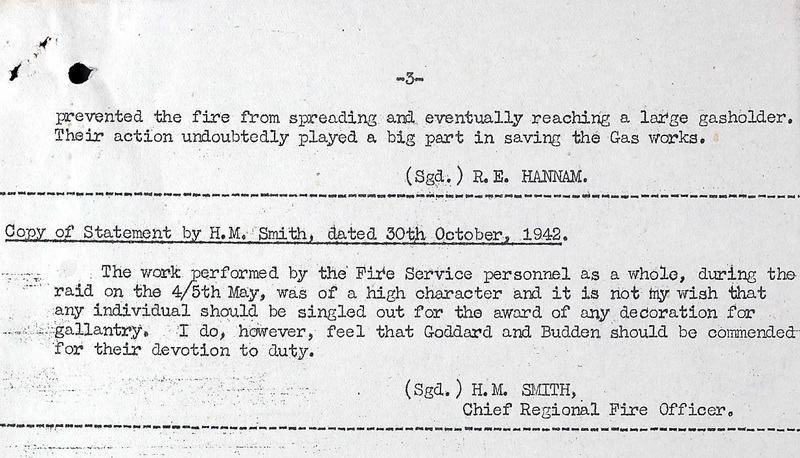 Extract from the London Gazette, 4 January 1943. 1943 January 22 - extract from the Western Gazette. Henry's post-war life remains undiscovered. He last abode was The Moorings, Egypt Hill, Cowes, which it is believed was a care home at the time. He passed away on 5 February 1986, some records allude to this happening in Wales, whatever the case he was cremated on the Island on 12 February and his ashes scattered at one of the plots. Rest in peace Fireman Budden.